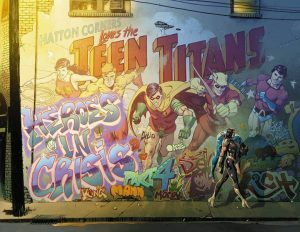 Wally West The Flash Spotlight and The Crisis For The Adult New Teen Titans. Writer Tom King teased Heroes in Crisis #4 recently with the following preview image. The issue comes out this week. Solicitation below. 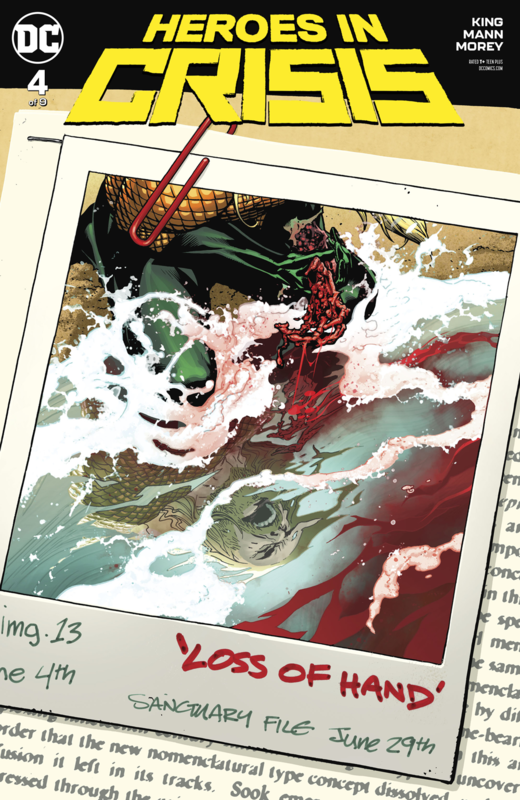 Wonder Woman versus…Booster Gold?! Diana finds out the hard way that Booster can be a formidable opponent when his back’s against the wall. Of course, being the prime suspect in a superhero massacre and exposing a secret trauma hospital for metahumans will do just that. 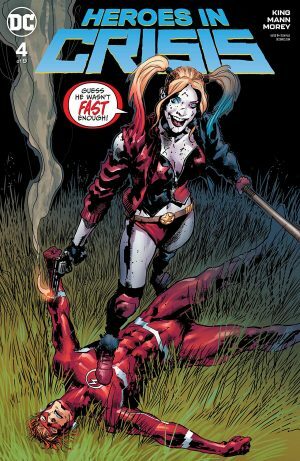 Meanwhile, Batman and the Flash combine their detective skills to investigate what went awry at Sanctuary and uncover a serious glitch in the system-not to mention an explosive, spoiler-ific secret! Curious that Wally West the Flash still getting the spotlight after his “death” in issue #1. He’s on the cover of this issue. So, are you intrigued to pick up the issue this week?